The following notices provide a simple overview of what happens to your personal information when you visit our website. Personal information is any information that personally identifies you. For more detailed information on data protection, please refer to our data protection statement below. On the one hand, your data is collected when you provide us with it. This can be data that you enter in a contact form, for example. You have the right at any time and free of charge to obtain information about the origin, recipient and purpose of your stored personal data. You also have the right to request that this data be corrected, blocked or deleted. For this as well as to further questions to the topic data security kaanst du dicg at any time under the address indicated in the imprint to us turn. In addition, you have the right to complain to the responsible supervisory authority. In addition, you have the right to demand the restriction of the processing of your personal data under certain circumstances. Details can be found in the privacy statement under "Right to Restrict Processing". When you visit our website, your surfing behaviour can be statistically evaluated. This is done primarily with cookies and so-called analysis programs. The analysis of your surfing behaviour is usually anonymous; the surfing behaviour cannot be traced back to you. When you use this website, various personal data will be collected. Personal data is data with which you can be personally identified. This privacy statement explains what data we collect and how we use it. It also explains how and for what purpose this is done. We would like to point out that data transmission on the Internet (e.g. communication by e-mail) can have security gaps. A complete protection of the data against access by third parties is not possible. Many data processing operations are only possible with your express consent. You can revoke your consent at any time. For this purpose an informal notification by e-mail to us is sufficient. The legality of the data processing carried out until the revocation remains unaffected by the revocation. If data processing is carried out on the basis of Art. 6 para. 1 lit. e or f DSGVO, you have the right to object to the processing of your personal data at any time for reasons arising from your particular situation; this also applies to profiling based on these provisions. The respective legal basis on which a processing is based can be found in this data protection declaration. If you file an objection, we will no longer process your personal data concerned unless we can prove compelling reasons for the processing worthy of protection which outweigh your interests, rights and freedoms or the processing serves the assertion, exercise or defence of legal claims (objection according to Art. 21 para. 1 DSGVO). If your personal data is processed for the purpose of direct advertising, you have the right to object at any time to the processing of such personal data for the purpose of such advertising; this also applies to profiling insofar as it is connected with such direct advertising. If you object, your personal data will no longer be used for direct marketing purposes (objection according to Art. 21 para. 2 DSGVO). In the event of infringements of the DSGVO, the persons concerned shall have the right of appeal to a supervisory authority, in particular in the Member State of their habitual residence, workplace or place of presumed infringement. The right of appeal is without prejudice to other administrative or judicial remedies. You have the right to have data that we process automatically on the basis of your consent or in fulfilment of a contract handed over to you or to a third party in a common, machine-readable format. If you request the direct transfer of the data to another responsible person, this will only be done as far as it is technically feasible. This site uses SSL- resp. TLS-encryption for security reasons and to protect the transmission of confidential contents, such as orders or requests you send to us as site operator. You can recognize an encrypted connection by the fact that the browser's address line changes from "http://" to "https://" and the lock symbol in your browser line. If SSL or TLS encryption is activated, the data you send to us cannot be read by third parties. If there is an obligation to provide us with your payment data (e.g. account number for direct debit authorisation) after the conclusion of a chargeable contract, this data is required for payment processing. Payment transactions via the usual means of payment (Visa/MasterCard, direct debit) are carried out exclusively via an encrypted SSL or TLS connection. You can recognize an encrypted connection by the fact that the address line of the browser changes from "http://" to "https://" and by the lock symbol in your browser line. When using encrypted communication, you cannot be read along with payment data that you transmit to us by third parties. You have the right to free information about your stored personal data, their origin and recipient and the purpose of data processing and, if applicable, a right to correction, blocking or deletion of this data at any time within the framework of the applicable statutory provisions. You can contact us at any time at the address given in the imprint for this as well as for further questions on the subject of personal data. You have the right to request the limitation of the processing of your personal data. For this you can contact us at any time under the address indicated in the imprint. If you dispute the accuracy of your personal data stored by us, we will usually need time to check this. If the processing of your personal data has taken place unlawfully, you can demand the restriction of data processing instead of deletion. If you have lodged an objection pursuant to Art. 21 Para. 1 DSGVO, a balance must be struck between your and our interests. If you have restricted the processing of your personal data, these data may only be processed - apart from their storage - with your consent or for the assertion, exercise or defence of legal claims or for the protection of the rights of another natural or legal person or for reasons of an important public interest of the European Union or a Member State. The use of contact data published within the scope of the imprint obligation for the transmission of not expressly requested advertisement and information material is hereby contradicted. The operators of these pages expressly reserve the right to take legal action against unsolicited mailing or e-mailing of spam and other similar advertising materials. Most of the cookies we use are so-called "session cookies". They are automatically deleted at the end of your visit. Other cookies remain stored on your device until you delete them. These cookies enable us to recognize your browser during your next visit. You can set your browser so that you are informed about the setting of cookies and only allow cookies in individual cases, the acceptance of cookies for certain cases or generally exclude and the automatic deletion of cookies when closing the browser activate. If cookies are deactivated, the functionality of this website may be restricted. Cookies that are required to carry out the electronic communication process or to provide certain functions you desire (e.g. shopping cart function) are stored on the basis of Art. 6 Para. 1 lit. f DSGVO. The website operator has a justified interest in the storage of cookies for the technically error-free and optimised provision of its services. Insofar as other cookies (e.g. cookies for analysing your surfing behaviour) are stored, these are dealt with separately in this data protection declaration. A merging of this data with other data sources is not performed. The collection of this data is based on Art. 6 para. 1 lit. f DSGVO. The website operator has a justified interest in the technically error-free presentation and optimisation of his website - for this the server log files must be recorded. If you send us inquiries via the contact form, your data from the inquiry form including the contact data provided by you will be stored by us for the purpose of processing the inquiry and in case of follow-up questions. These data will not be passed on without your consent. The processing of the data entered in the contact form is therefore based exclusively on your consent (Art. 6 para. 1 lit. a DSGVO). You can revoke this consent at any time. For this purpose, an informal notification by e-mail to us is sufficient. The legality of the data processing operations carried out until the revocation remains unaffected by the revocation. The data entered by you in the contact form remains with us until you request deletion, revoke your consent to storage or the purpose for data storage no longer applies (e.g. after completed processing of your request). Mandatory legal provisions - in particular retention periods - remain unaffected. If you contact us by e-mail, telephone or fax, your inquiry including all personal data (name, inquiry) will be stored and processed by us for the purpose of processing your request. We do not pass on this data without your consent. The processing of this data takes place on the basis of Art. 6 Para. 1 lit. b DSGVO if your request is related to the fulfilment of a contract or is necessary for the implementation of pre-contractual measures. In all other cases, processing is based on your consent (Art. 6 Para. 1 lit. a DSGVO) and/or on our legitimate interests (Art. 6 Para. 1 lit. f DSGVO), as we have a legitimate interest in the effective processing of enquiries addressed to us. The data you send us via contact requests will remain with us until you request us to delete them, revoke your consent to their storage or the purpose for which they were stored no longer applies (e.g. after your request has been processed). Mandatory legal regulations - in particular legal retention periods - remain unaffected. You can register on our site to use additional features on the site. We only use the data entered for this purpose for the purpose of using the respective offer or service for which you have registered. The mandatory information requested during registration must be provided in full. Otherwise, we will refuse registration. For important changes, for example in the scope of our services or for technically necessary changes, we will use the e-mail address provided during registration to inform you in this way. The processing of the data entered during registration is based on your consent (Art. 6 Para. 1 lit. a DSGVO). You can revoke your consent at any time. For this purpose, an informal notification by e-mail to us is sufficient. The legality of the data processing that has already taken place remains unaffected by the revocation. We collect, process and use personal data only to the extent that they are necessary for the establishment, content or modification of the legal relationship (inventory data). This is done on the basis of Art. 6 para. 1 lit. b DSGVO, which permits the processing of data for the fulfilment of a contract or pre-contractual measures. We collect, process and use personal data relating to the use of our Internet pages (usage data) only to the extent necessary to enable the user to make use of the service or to bill the user. The customer data collected is deleted after conclusion of the order or termination of the business relationship. Legal retention periods remain unaffected. We transmit personal data to third parties only if this is necessary in the context of contract processing, for example to the bank commissioned with payment processing. A further transmission of data does not take place or only if you have expressly agreed to the transmission. Your data will not be passed on to third parties without your express consent, for example for advertising purposes. This website uses functions of the web analysis service Google Analytics. Provider is Google Ireland Limited ("Google"), Gordon House, Barrow Street, Dublin 4, Ireland. Google Analytics uses so-called "cookies". These are text files that are stored on your computer and enable an analysis of your use of the website. The information generated by the cookie about your use of this website will generally be transmitted to and stored by Google on servers in the United States. The storage of Google Analytics cookies and the use of this analysis tool is based on Art. 6 Para. 1 lit. f DSGVO. The website operator has a legitimate interest in analysing user behaviour in order to optimise both his website and his advertising. We have activated the IP anonymisation function on this website. This will cause Google to shorten your IP address within member states of the European Union or other states party to the Agreement on the European Economic Area before it is transmitted to the United States. Only in exceptional cases will the full IP address be transmitted to a Google server in the USA and shortened there. On behalf of the operator of this website, Google will use this information to evaluate your use of the website, compile reports on website activity and provide other services relating to website activity and internet usage to the website operator. The IP address transmitted by your browser within the framework of Google Analytics is not combined with other data from Google. You can prevent cookies from being saved by setting your browser software accordingly; however, we would like to point out that in this case you may not be able to use all the functions of this website to their full extent. You can also prevent Google from collecting the data generated by the cookie and related to your use of the website (including your IP address) and from processing this data by Google by downloading and installing the browser plug-in available at the following link: https://tools.google.com/dlpage/gaoptout?hl=en. You can prevent Google Analytics from collecting your data by clicking on the following link. An opt-out cookie will be set to prevent your data from being collected on future visits to this website: Disable Google Analytics. 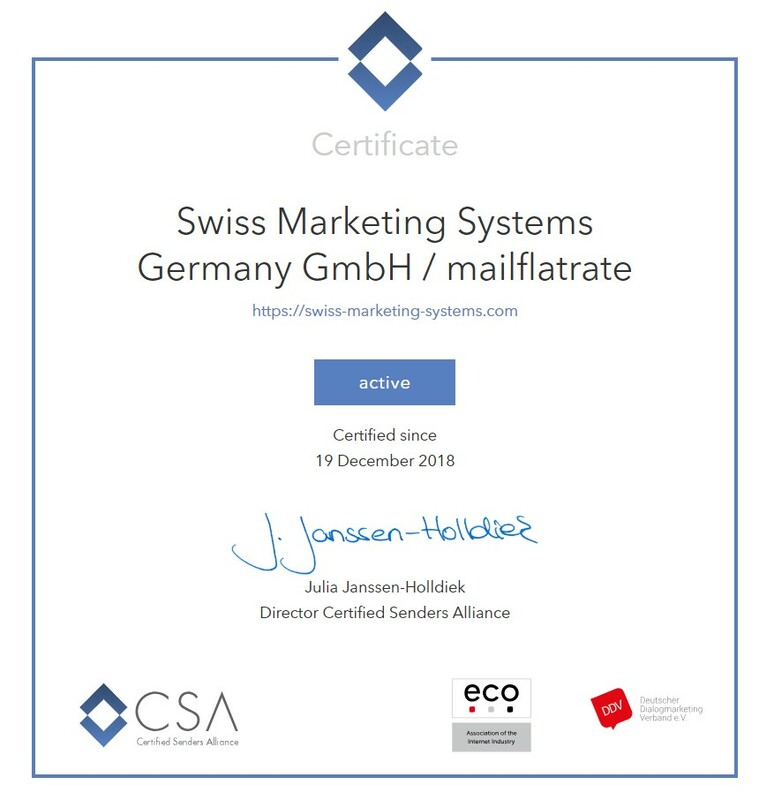 We have entered into an order processing agreement with Google and fully comply with the strict requirements of the German data protection authorities when using Google Analytics. This website uses the "demographic characteristics" function of Google Analytics. This allows reports to be created that contain statements about the age, gender and interests of the site visitors. This data comes from interest-related advertising by Google and from visitor data from third parties. This information cannot be associated with any specific individual. You can deactivate this function at any time via the ad settings in your Google Account or generally prohibit the collection of your data by Google Analytics as described under "Objection to data collection". This website uses Hotjar. Provider is Hotjar Ltd, Level 2, St Julians Business Centre, 3, Elia Zammit Street, St Julians STJ 1000, Malta, Europe (Website: https://www.hotjar.com). Hotjar is a tool used to analyze user behavior on our website. With Hotjar we can record your mouse and scroll movements and clicks, among other things. Hotjar can also determine how long you have stayed with the mouse pointer on a certain place. Hotjar uses this information to create heat maps, which can be used to determine which areas of a website are preferred by website visitors. We can also determine how long you stayed on a page and when you left it. We can also determine at which point you have aborted your input in a contact form (so-called conversion funnels). In addition, Hotjar can be used to obtain direct feedback from website visitors. This function is used to improve the website operator's web offerings. You can set your browser so that you are informed when cookies are set and only allow cookies in individual cases, exclude the acceptance of cookies for certain cases or generally and activate the automatic deletion of cookies when the browser is closed. If you deactivate cookies, the functionality of this website may be restricted. The use of Hotjar and the storage of Hotjar cookies is based on Art. 6 para. 1 lit. f DSGVO. The website operator has a legitimate interest in analysing user behaviour in order to optimise both his website and his advertising. Please note that Hotjar must be deactivated separately for each browser or device. We have signed an order processing agreement with Hotjar to implement the strict European data protection regulations. This website uses Google AdWords. AdWords is an online advertising program of Google Ireland Limited ("Google"), Gordon House, Barrow Street, Dublin 4, Ireland. In the context of Google AdWords we use the so-called conversion tracking. When you click on an ad placed by Google, a conversion tracking cookie is set. Cookies are small text files that the Internet browser places on the user's computer. These cookies lose their validity after 30 days and are not used to personally identify the user. If the user visits certain pages of this website and the cookie has not expired, Google and we may recognize that the user clicked on the ad and was directed to that page. Every Google AdWords customer receives a different cookie. The cookies cannot be tracked through AdWords customer websites. The information collected from the Conversion cookie is used to generate conversion statistics for AdWords customers who have opted for Conversion Tracking. Customers will know the total number of users who clicked on their ad and were directed to a page with a conversion tracking tag. However, they will not receive information that personally identifies users. If you do not want to participate in tracking, you can opt out of this use by easily turning off the Google Conversion Tracking cookie in your web browser under User Preferences. You will then not be included in the conversion tracking statistics. The storage of "conversion cookies" and the use of this tracking tool are based on Art. 6 Para. 1 lit. f DSGVO. The website operator has a legitimate interest in analysing user behaviour in order to optimise both its website and its advertising. You can set your browser to notify you when cookies are set, to allow cookies only on a case-by-case basis, to prevent cookies from being accepted in certain circumstances or generally, and to enable automatic cookie deletion when you close your browser. If you deactivate cookies, the functionality of this website may be limited. This allows the behaviour of page visitors to be tracked after they have been forwarded to the provider's website by clicking on a Facebook ad. This enables us to evaluate the effectiveness of Facebook ads for statistical and market research purposes and to optimize future advertising measures. The data collected is anonymous to us as the operator of this website and we cannot draw any conclusions about the identity of users. However, the data is stored and processed by Facebook so that a connection to the respective user profile is possible and Facebook can use the data for its own advertising purposes in accordance with the Facebook Data Usage Guidelines. As a result, Facebook may allow advertisements to be placed on Facebook pages and outside Facebook. This use of data cannot be influenced by us as the site operator. The use of Facebook pixels is based on Art. 6 para. 1 lit. f DSGVO. The website operator has a legitimate interest in effective advertising measures, including social media. You will find further information on the protection of your privacy in Facebook's data protection information: https://de-de.facebook.com/about/privacy/. You can also deactivate the remarketing function "Custom Audiences" in the Settings for Advertisements section at https://www.facebook.com/ads/preferences/?entry_product=ad_settings_screen. If you don't have a Facebook account, you can disable use-based Facebook advertising on the European Interactive Digital Advertising Alliance website: http://www.youronlinechoices.com/de/praferenzmanagement/. If you want to receive the newsletter offered on the website, we need an e-mail address from you as well as information that allows us to verify that you are the owner of the e-mail address provided and that you agree to receive the newsletter. Further data will not be collected or will only be collected on a voluntary basis. We use these data exclusively for the dispatch of the requested information and do not pass these on to third parties. The processing of the data entered into the newsletter registration form takes place exclusively on the basis of your consent (Art. 6 Para. 1 lit. a DSGVO). You can revoke your consent to the storage of data, e-mail address and their use to send the newsletter at any time, for example via the "Unsubscribe" link in the newsletter. The legality of the data processing processes that have already taken place remains unaffected by the revocation. The data that you have stored with us for the purpose of subscribing to the newsletter will be stored by us until you unsubscribe from the newsletter and deleted after the newsletter has been cancelled. Data stored by us for other purposes will remain unaffected. On our website we offer payment via PayPal and Stripe. The provider of this payment service is PayPal (Europe) S.à.r.l. et Cie, S.C.A., 22-24 Boulevard Royal, L-2449 Luxembourg (hereinafter referred to as "PayPal") or Stripe, Inc, 185 Berry Street, Suite 550, San Francisco, CA 94107, USA (hereinafter referred to as "Stripe"). If you select payment via PayPal or Stripe, the payment data you enter will be transmitted to PayPal or Stripe. The transmission of your data to PayPal or Stripe takes place on the basis of Art. 6 Para. 1 lit. a DSGVO (consent) and Art. 6 Para. 1 lit. b DSGVO (processing to fulfil a contract). You have the possibility to revoke your consent to data processing at any time. A revocation has no effect on the effectiveness of past data processing operations.